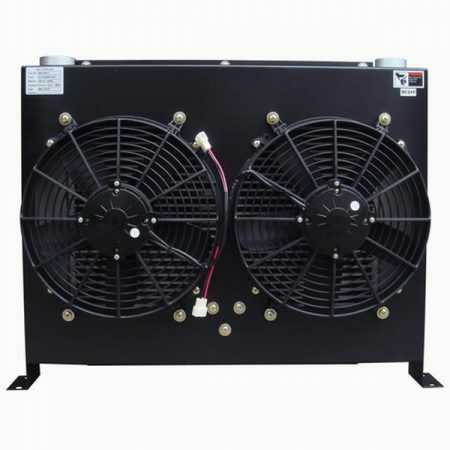 The loader cooling system usually includes a fan, a water radiator,Air-cooled intercooler, torque converter oil radiator, hydraulic oil radiator,air conditioning radiator (with air conditioning).Loader cooling system is usually placed at the rear of the engine, where the fan is divided into suction and blower, set between the engine and radiator assembly,heat the radiator to ensure the engine, transmission and fluid system works normally under severe conditions and heavy loads. According to relevant information, about 50% of engine failures caused by poor heat dissipation from the heat sink. And the radiator correct layout has a great impact on heat dissipation,especially when the engine, the transmission,and the hydraulic system load increases and the heat load increases, the radiator of heat dissipation capability is even more important. The heat sink of the loader heat sink is proportional to the air density, air specific pressure heat capacity, heat sink heat sink area, air flow rate, and temperature difference between air entering and leaving the heat sink. Since the air density and air constant pressure specific heat capacity are constant, the loader designer should select the arrangement of the heat dissipation system based on the total heat dissipation, the layout space, and the fan diameter and model. The main radiator refers to a water radiator, a hydraulic oil radiator, a torque converter oil radiator, and an air-cooled intercooler, and the single-layer parallel arrangement means that they are arranged in parallel. This arrangement has the advantages of small wind resistance and fast air flow rate. The single-layer arrangement of the radiator core has a large overall width and height dimension, and is suitable for a loader with a large installation space. The double-layer arrangement of the radiator is to disperse the engineHeater, air-cooled intercooler, hydraulic oil radiator and torque converter oilThe radiator is arranged in two layers in series. When using this arrangement,Generally, the radiator with a lower temperature is arranged at the inlet end, and the temperature is higher.A high heat sink is placed at the outlet end. When using a suction fan,a water radiator and a torque converter oil radiator are arranged on the near side of the fan.Air-cooled intercooler, hydraulic oil radiator is arranged away from the fan side.as shown in picture 2. When using a blower fan, it is closer to the fanwater radiator, air-cooled intercooler and hydraulic oil radiator are arranged.Arrange the torque converter oil radiator away from the fan side. Arrange spaceUnder the premise, the larger the gap between the two layers of heat sinks, the better. The three-layer arrangement of the radiator is a water radiator,the air-cooled intercooler, the hydraulic oil radiator and the torque converter oil radiator are arranged in series in front, middle and rear. The advantages of this arrangement are the heat dissipation of each radiator. The data shows that the distance between each layer of radiators is increased by 10mm. By 100mm, the heat transfer capacity of the radiator is increased by 2.6% to 4.7%. 200mm, the heat transfer capacity of the radiator group is increased by 5.1% to 8.3%. 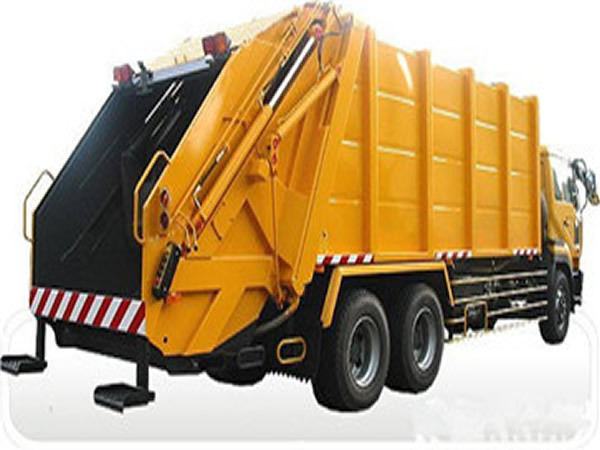 Suitable for loaders with large space in the front and rear direction. The arrangement of the radiator is divided into 3 layers and the wind resistance is larger. The wind speed is smaller, the more the radiator is behind, the higher the inlet air temperature. And the three-layer series arrangement is not convenient for cleaning and maintenance of the radiator. When the loader needs to use a radiator with strong heat dissipation capability, and the rear and rear left and right direction of the loader is insufficiently arranged, a radiator arranged in a box type may be used. The box-shaped radiator can avoid the disadvantages of large wind resistance and low inlet air temperature in the double-layer arrangement, and also facilitates maintenance and cleaning of the radiator. However, the box type arrangement is only applicable to the suction type cooling fan and the air guiding device, and it is required to be able to enter the air in multiple directions, and the process requirements of the hood are relatively high, and the piping arrangement to each radiator is complicated. 10/09/2018meta-author By chance-coolers 未分类 Comments Off on Why hydraulic oil cooler is needed in hydraulic systems?